TL;DR; We can run the minimal JavaFX jar from the previous blog post with either JavaFX as module, and "the old fashioned" way with the Java 11.0.2 version of BellSoft which includes JavaFX. 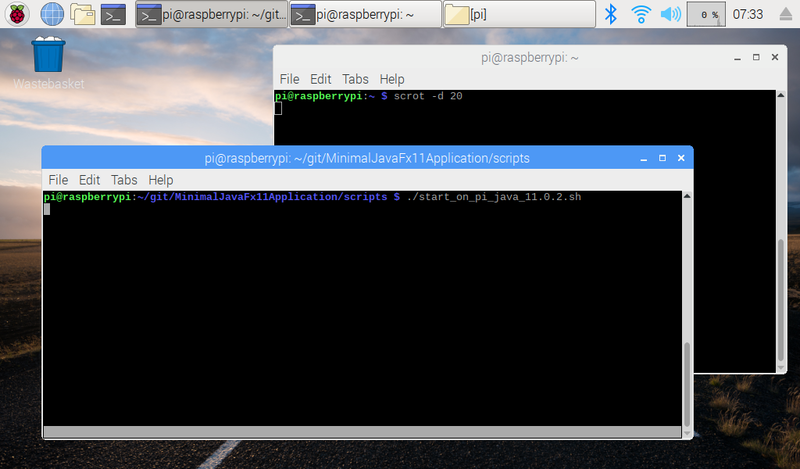 In part 2 of this blog series Java 11 was successfully installed on a PI. And in part 4 a running Java FX jar was generated on a PC. Basically these are the parts in the command if we first move to the directory where the jar-file is located. 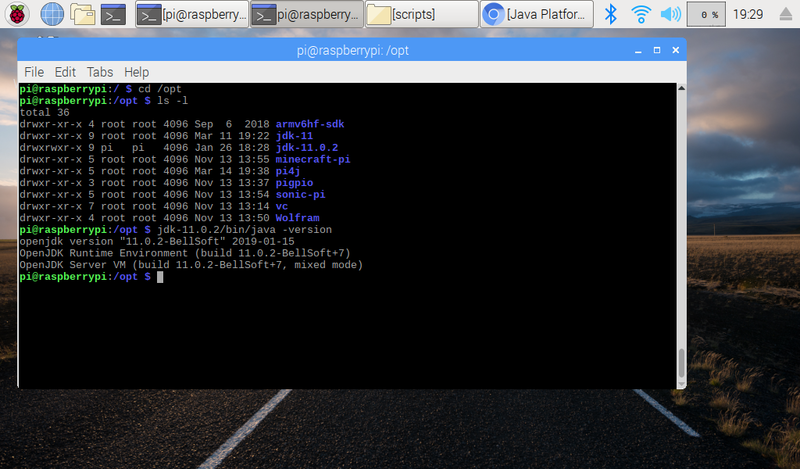 And yes, without any extra effort, the application (which is only 6kb BTW) created with Maven on a (Windows) PC runs on the PI! During my testing for this blog I received a mail from GluonHQ with more info of JavaFX on PI with the news there was a new Java 11.0.2 version available from BellSoft which again includes JavaFX so the separate download we did before is no longer needed. To be able to test this next to the previous flow, I created and used a different script to install this 11.0.2 version of Java for PI. When taking a screenshot while the application runs, with following command (a delay of 20" so the application can be started from another terminal), the JavaFX application is not captured at all and we only see the terminals I had running for the screenshot tool and starting the JavaFX application. 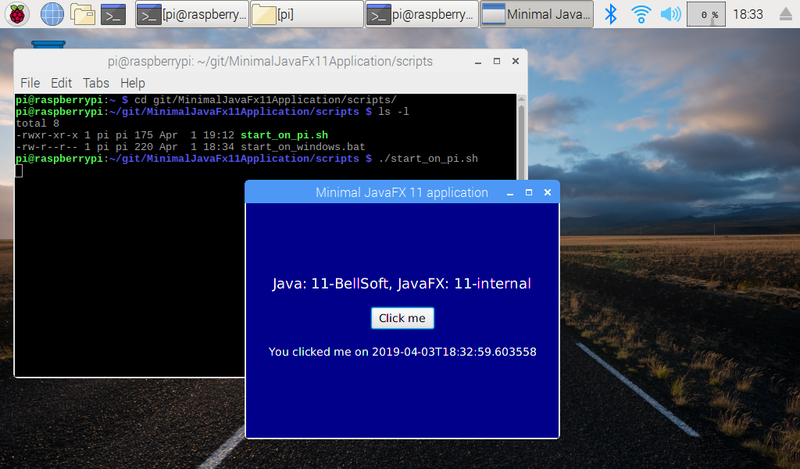 We can run the minimal JavaFX jar from the previous blog post with either JavaFX as module, and "the old fashioned" way with the Java 11.0.2 version of BellSoft which includes JavaFX.